Dr. Miller's research focuses on understanding and improving reporting of adverse events of therapy for pediatric cancer. 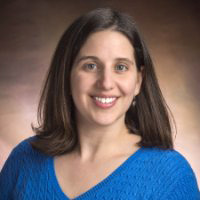 Tamara Miller, MD, is Assistant Professor in the Department of Pediatrics at Emory University School of Medicine. Dr. Miller treats pediatric hematology/oncology patients at the Aflac Cancer and Blood Disorders Center of Children's Healthcare of Atlanta. Prior to joining Emory in 2017, she served on the faculty at the Center for Pediatric Clinical Effectiveness at Children's Hospital of Philadelphia where she was a member of the Department of Biomedical and Health Informatics. Dr. Miller earned her medical degree from the Yale University School of Medicine and her Master of Science in clinical epidemiology from the University of Pennsylvania. She completed her internship and residency, as well as her fellowship, in pediatric hematology/oncology at Children's Hospital of Philadelphia. Dr. Miller's research research goals are to improve the current system of adverse event reporting in order to enhance how clinical trials are performed, and to perform research in supportive care that will improve daily clinical care of and guidance for children with cancer. My primary research focuses on understanding and improving reporting of adverse events of therapy for pediatric cancer.